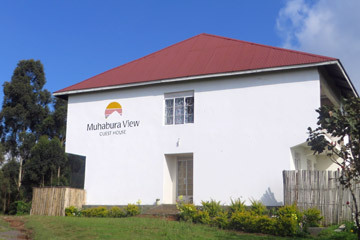 Only 1.5km from the centre of town, Muhabura View Guest House is situated on top of a small hill overlooking Kisoro and the Virunga Mountain Range. Its secure and quiet location surrounded by spectacular scenery offers any visitor a relaxing and comfortable stay. 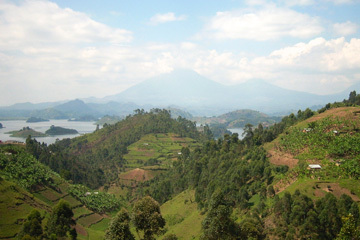 Set up by the Diocese of Muhabura, the guest house is an income generating project that aims to increase the local economy be sourcing facilities, resources and produce from Kisoro district to ensure a unique and excellent tourist experience. Situated in a private area with beautiful landscape views, our Guest House is the perfect location for your African adventure. 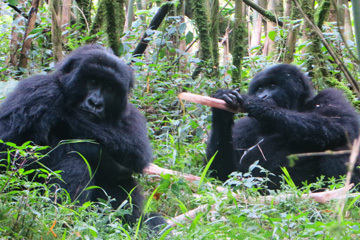 Whether its gorilla trekking or hill walking or simply discovering more about the local area, we help plan and facilitate your activity levels. To make your travels as smooth and carefree as possible we have a page of useful hints and tips including what you should pack!